At The Carpet Store and More we stock a wide range of solid Floors. Hardwood floors offer the unmistakable charm and timeless beauty only found in authentic, real wood. They are never out of fashion and add real value to the home. Laminate floors have become very popular over the past number of years. 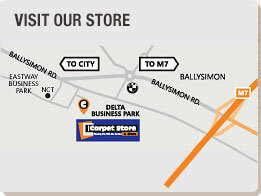 Call into us today at The Carpet Store and More to view our range. We will answer all your questions and give you a sample to take home.